Job Hunting Tips for Healthcare Professionals Like You! How is your job hunting experience going so far? For most people, job hunting is a challenging ordeal. It tests your patience, wit, strategy, and even your budgeting skills! Surprised? Heading out to different locations for an interview can be quite expensive (especially if you don’t have other means to earn money as of yet). But don’t worry, down below we have prepared a couple of tips that should help make your endeavor a lot easier. First things, first. Come up with a strategy. You can’t possibly hope to succeed without a sound plan. If you proceed unprepared, you will have a lot of hurdles along your way. So, what will the strategy be about? Start by planning your schedule. Itemize the tasks that you need to achieve daily and weekly. This includes learning about potential employers, studying interview questions, tending to personal activities, and the like. Having a plan with a schedule helps because it will keep you productive as much as possible during the time that you are unemployed. Alright, so you already have a plan, now you just have to act on it. But before you head on for a walk-in interview, you should first take some time to get to know your potential employers. Don’t just stop at scanning through the company website, you need to put in some legwork and dig deeper. Having additional knowledge about the employer you want to work for will help you ace the upcoming job interview. It will show the interviewers that you are dedicated and passionate in your profession. If you haven’t gone job hunting for some time, take this opportunity to upgrade your resume and update your professional profile. Doing so will allow you to present a CV that showcases your strong points and level of expertise. On top of that, it will also help catch the screening committee’s interest and book you an interview. Once you’ve secured an interview, now is your chance to really impress them with what you are capable of. Believe it or not, first impressions matter. Put on your best business attire and come in early to express competence, reliability, and professionalism. Why stick to just traditional job hunting methods when you have other means to connect with potential employers? Cast your net lot wider when you partner up with Pace Medical Staffing, Inc.
We render unrivaled healthcare staffing solutions in Fort Wayne, Indiana, and are constantly connected with numerous companies that will want someone with your qualifications on their team! 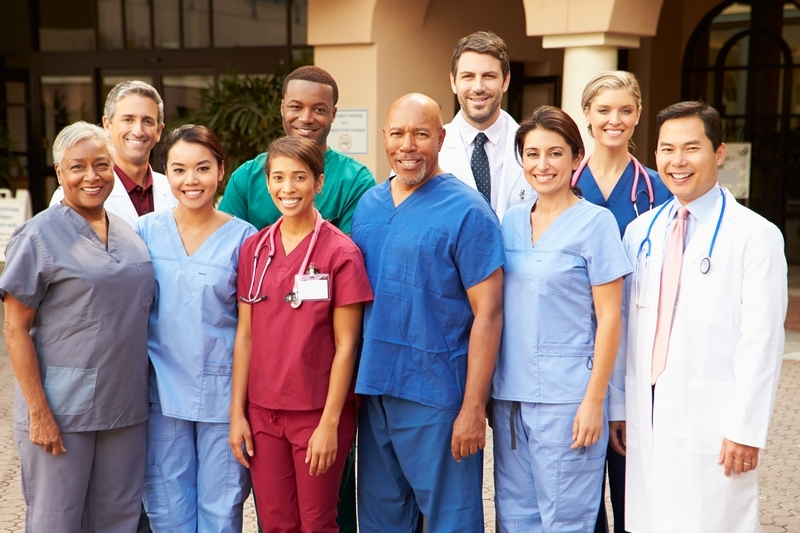 We are also a provider of healthcare staffing in Indiana and if you enroll in our services, you are creating a chance for yourself to work with the highly respected facilities. Talk to us. We can help you earn better and achieve a more rewarding career in healthcare. You can even take advantage of flexible work hours! Isn’t that great? Come forward with your impressive resume and get in touch with Pace Medical Staffing, Inc. today. This entry was posted in Healthcare Industry and tagged Healthcare Professionals, healthcare staffing, Healthcare Workers, medical staffing, medical staffing agencies, nurse staffing. Bookmark the permalink.